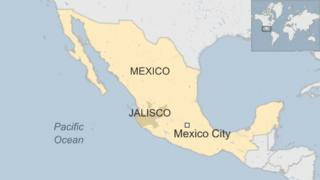 The Mexican authorities say they have rescued 129 workers from a textile factory run by South Koreans in the western state of Jalisco. The authorities said they received an anonymous tipoff which led them to the factory. The officials said the workers - six of whom were under age - accused the owners of physical and sexual abuse. Four South Koreans who had been running the company were arrested. Officials said there were 121 women and eight men, including six minors, involved. The workers had told the officials they had been threatened, worked in insanitary and dangerous conditions and worked excessively long days with few breaks. They had not been given contracts and worked more than the legal eight hours a day, with a meal break of only 15 minutes. In 2013 police in Jalisco state rescued at least 275 people being held in slave-like conditions in a tomato packing factory in Jalisco.